With dozens of peaks above 6,000 meters (nearly 20,000 feet), Peru’s Cordillera Blanca range is one of the highest, most rugged sections of the Andes, and the most heavily glaciated of any mountains in the planet’s equatorial zone. It is a well-known mountain climbing destination, and hundreds of kilometers of hikeable trails have made the range increasingly popular among trekkers. Have a look on the drop-down menu, for what is just a selection of possibilities. 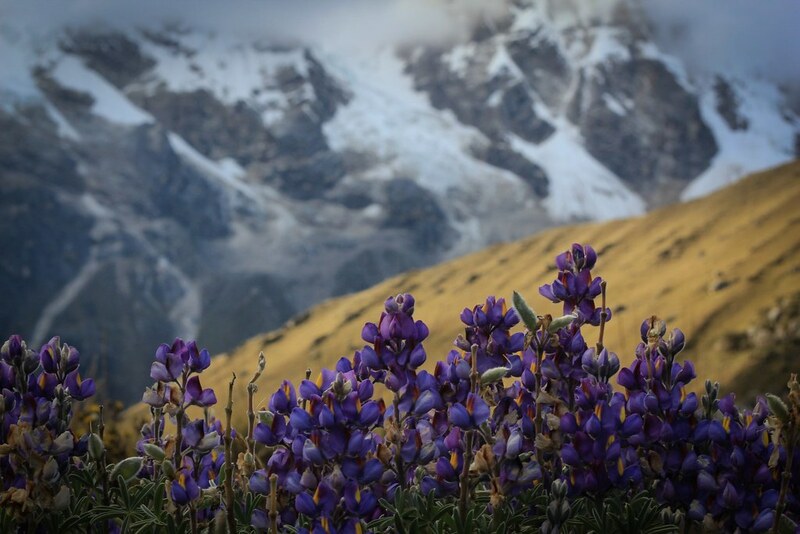 Flowering lupines at the foot of Nevado Ulta (5875m). Huascaran National Park. Cordillera Blanca. Peru.